With a rail network covering Tokyo and the rest of the East Japan area, JR East is one of Japan’s leading railway companies. The network includes a total of 69 lines covering 7,474.2km, with 17.1 million passengers riding each day. 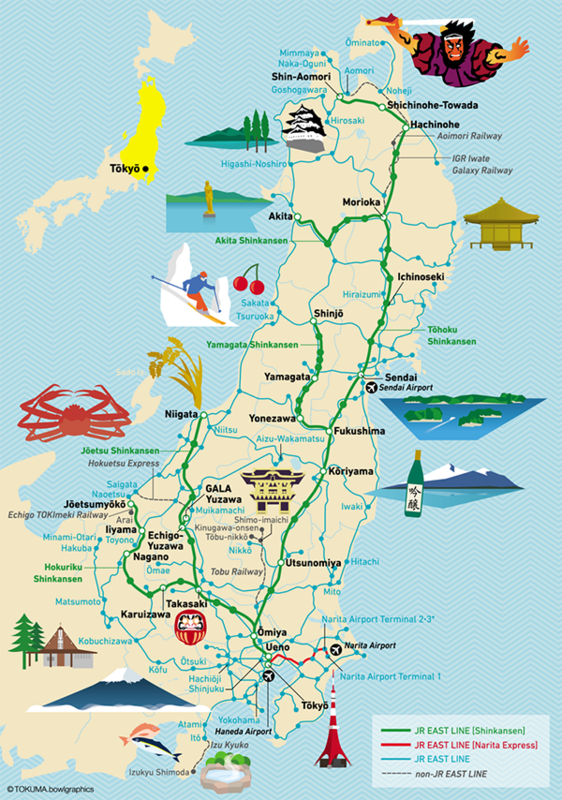 Travelling by the Hayabusa, Japan’s fastest Shinkansen train (320km/h), is a convenient way to get to the Tohoku region. 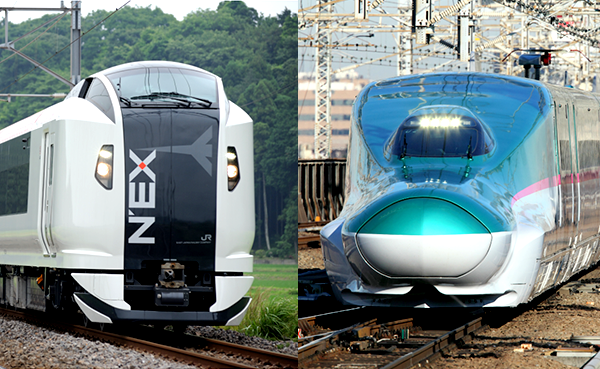 Try using the JR EAST PASS rail pass to go on a fun and memorable train journey!